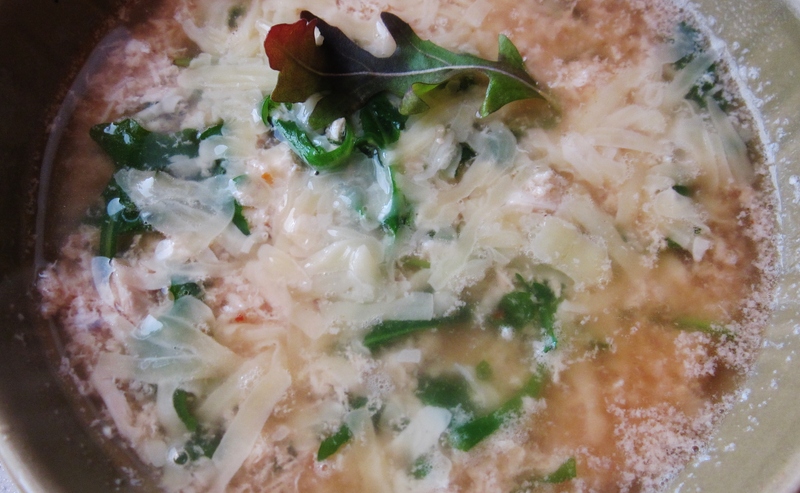 Straciatella soup, has to be one of the most delicious and soothing soups! Here’s just one idea on turning it into a meal! 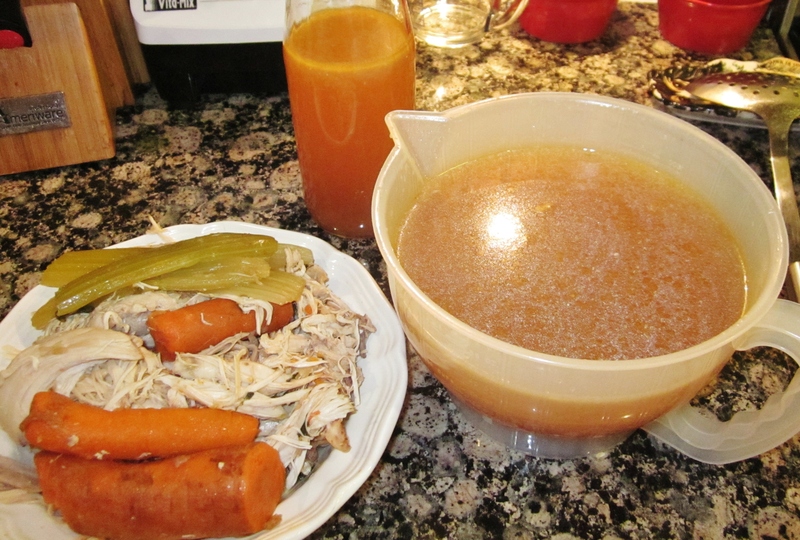 I always use My Own Stock from scratch. In a saucepan, bring stock to boil. 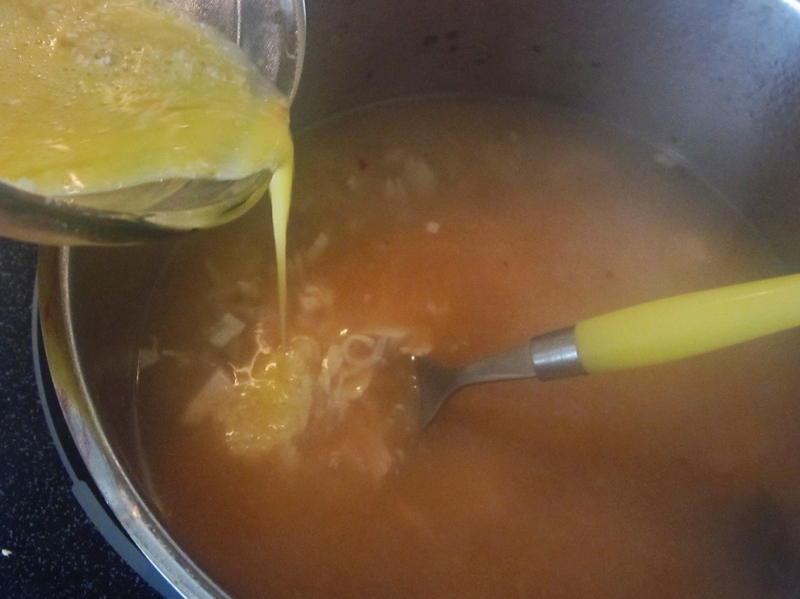 Add either the chicken from the stock, if you just made it or take a chicken breast, cut it into small pieces and add to stock, turn heat to med. This, will be extra tasty! Take care not to overcook because it will become rubbery! A few minuets should do it. 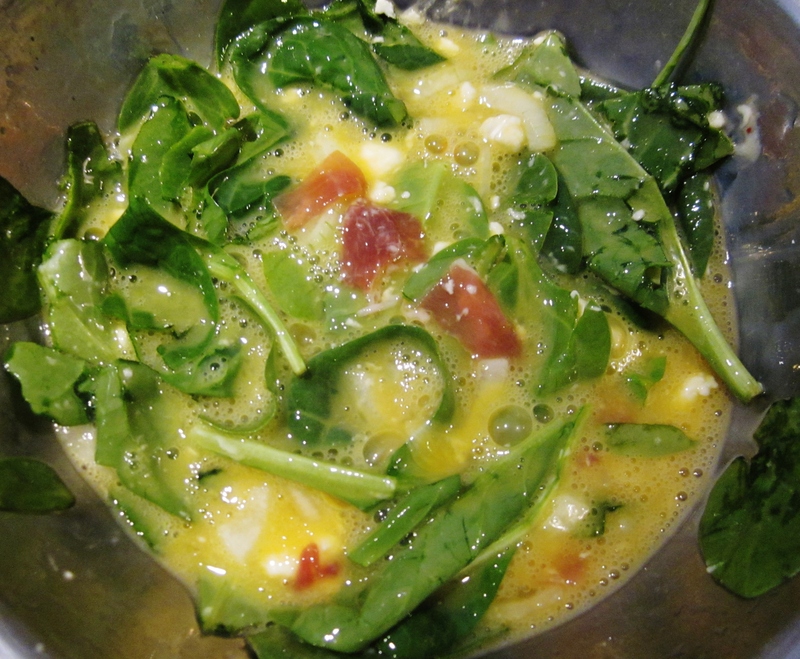 In a measuring cup, add egg and beat. Add Oat Bran and mix. 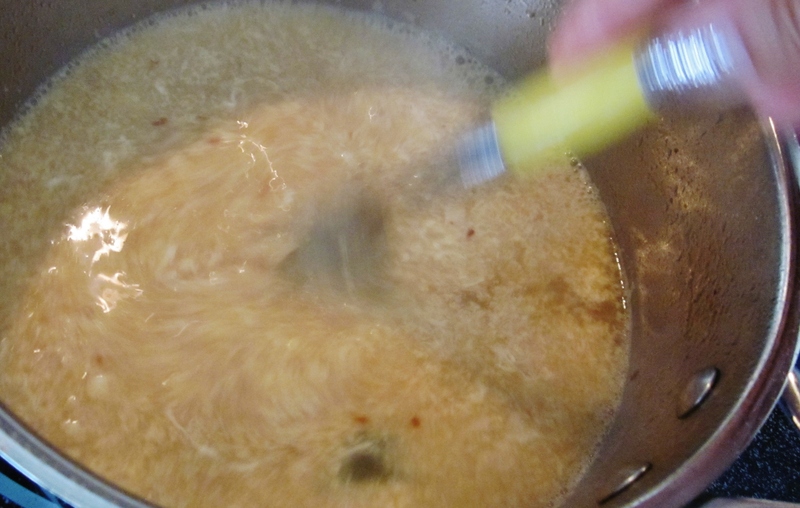 Pour into soft boiling broth. 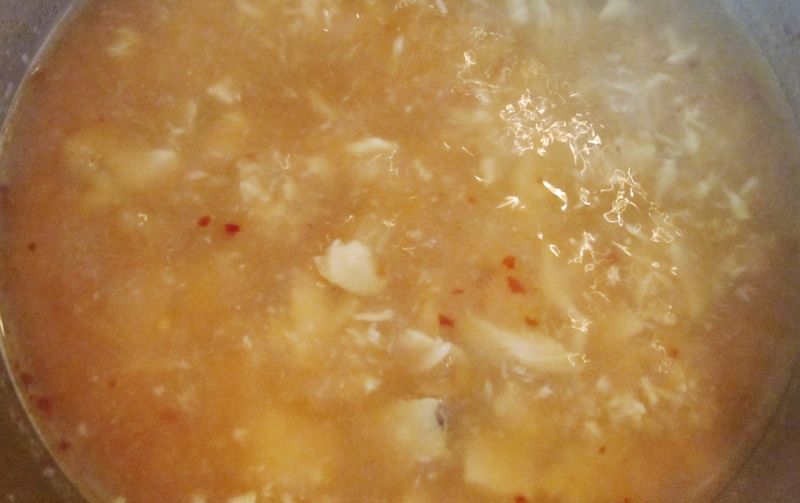 Stirring constantly and quickly till the egg has coagulated and looks like cheese! 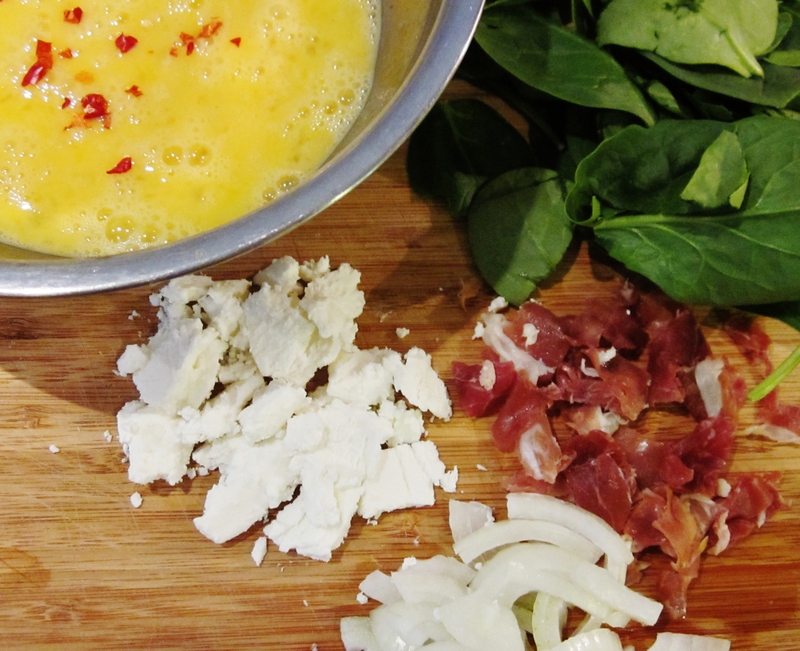 Add the Arugula or Spinach and Chillies and stir in. Posted in FOR THE CARNIVORES, GLUTEN FREE, LOW CARB and tagged dinner, food, gluten free, healthy, Italian cooking, recipes, soups. Bookmark the permalink. 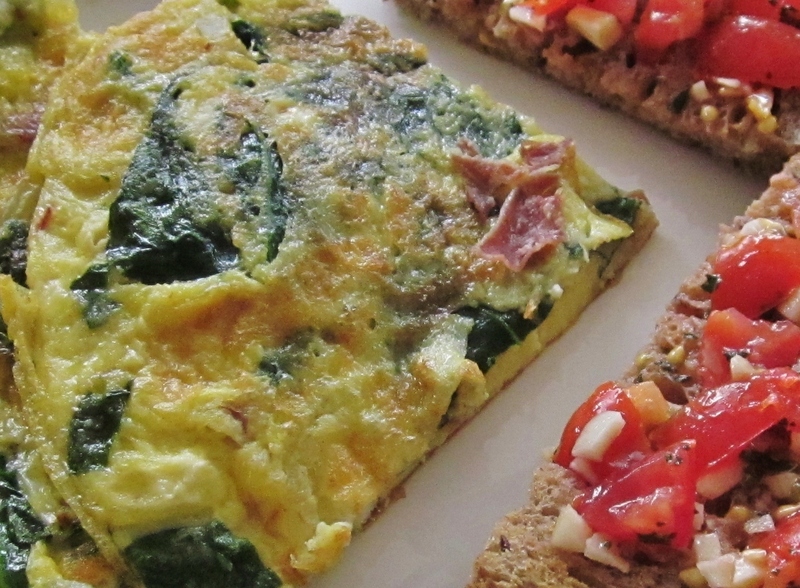 There are no rules or regulations in making a Frittata, only your imagination! The traditional one, I grew up watching my Mother make, was, Potato and Onion! yummm! that was good! She would cut up the potato into really small chunks and pan fry in a bit of olive oil, untill golden brown on all sides. 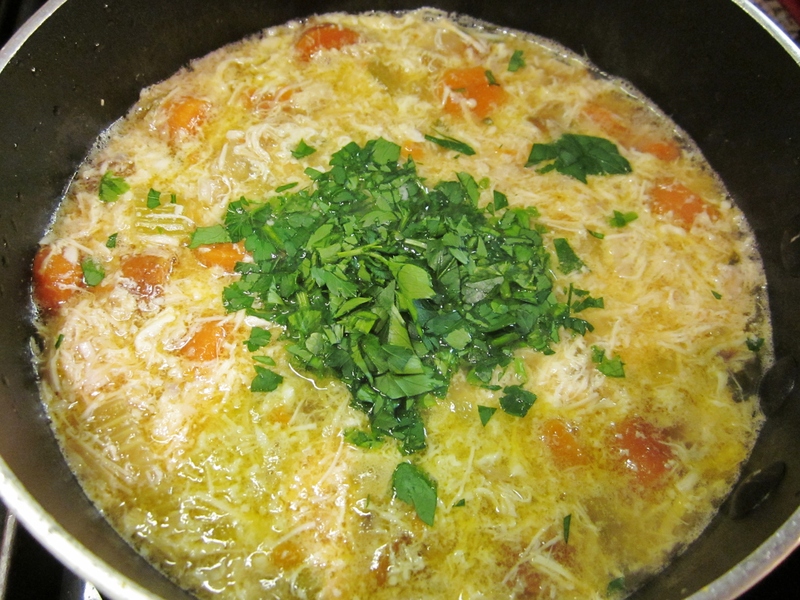 She would then add chopped onion, sweat them out and add the eggs. 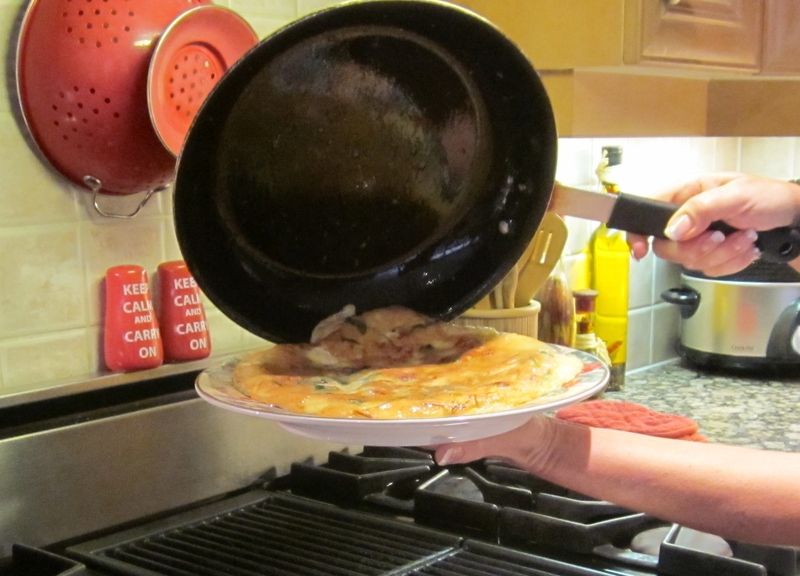 The exciting part was when she would grab a plate, put it upside down on top of the frying pan and attempt to flip it over! And flip it over she did, to my wild surprise, lol! How amazing, to watch, over and over again, each time as amazing as the first! 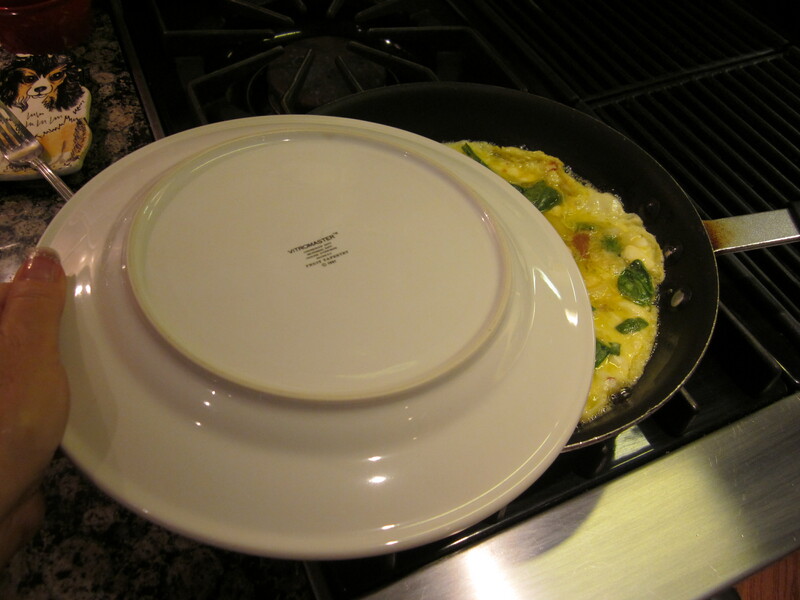 When it was ready, she slid it on to a pretty plate and sprinkled it with Parmesan Cheese and on to the table it went! Breakfast, lunch or dinner, you choose. 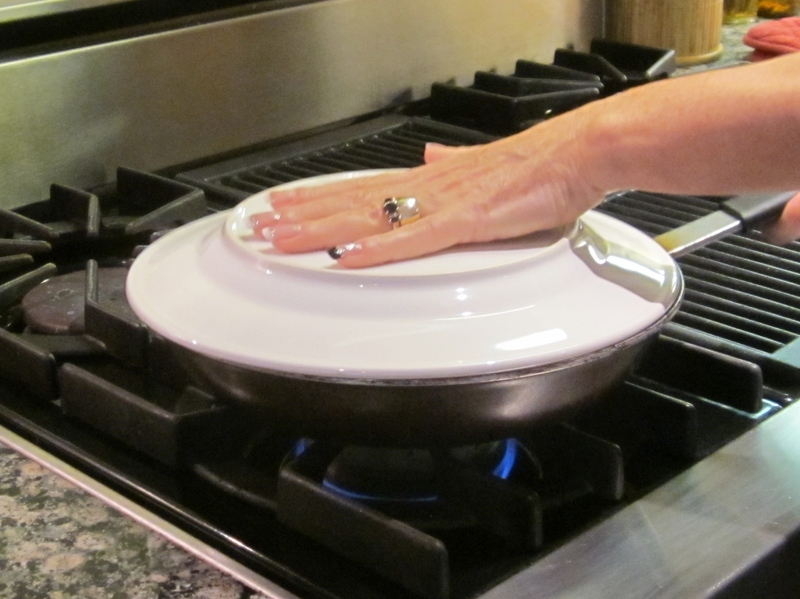 Watch temp and make sure the oil does not get too hot and smoke! If you don’t feel confident, please turn your oven to Broil and finish off on the top rack for a couple of min!!! You may want to wear long sleeves the first time, just in case! Put your hand firmly on top, (move over to the counter or sink) and 1, 2, 3, FLIP! This needs to be a gentle but quick motion! Don’t stop half way! 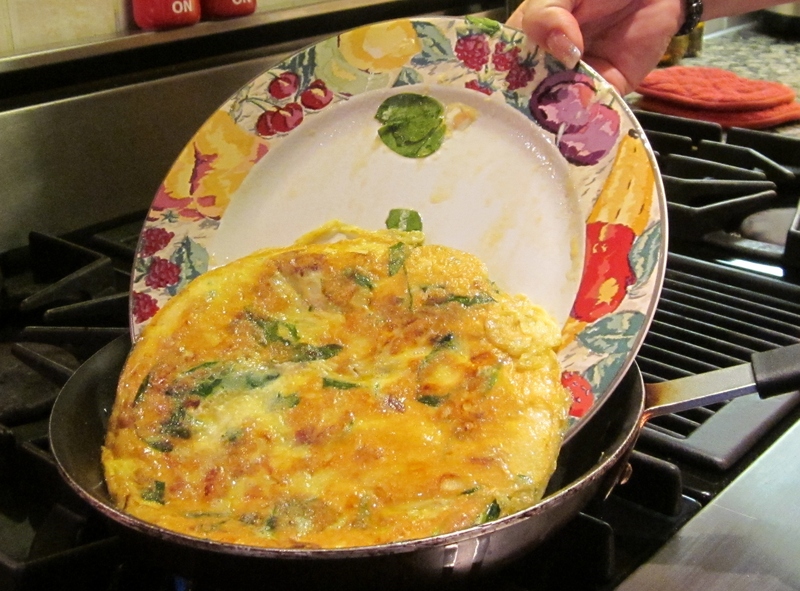 Slide the Frittata off the plate back into the pan, and heat until the bottom firms up, couple of min. Great with some toasted gluten free bread with chopped tomatoes, garlic and olive oil! 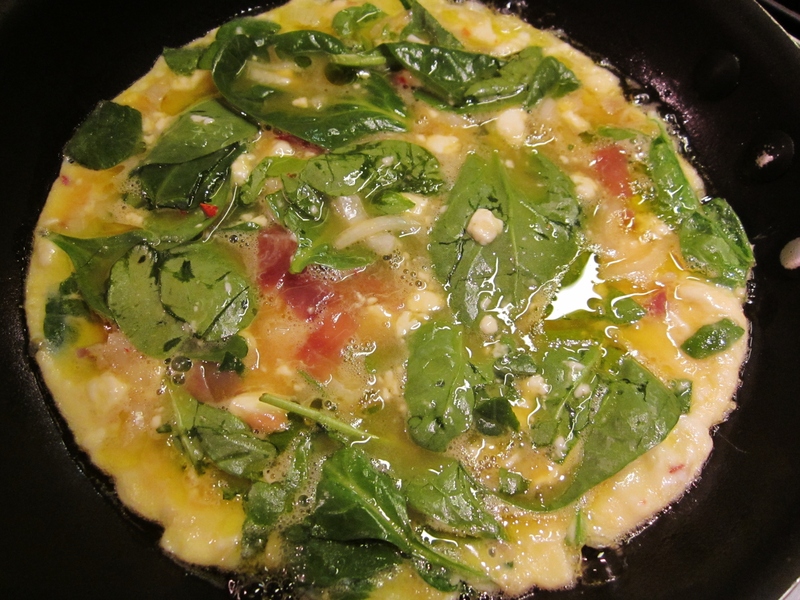 Posted in FOR THE CARNIVORES, GLUTEN FREE and tagged dinner, eggs, food, frittatas, gluten free, Health, healthy, Healthy Eating, Italian cooking, lifestyles, nutrition, omlettes, recipes. Bookmark the permalink. Chicken breasts are not one of my husbands favourites because they tend to be dry. So when I make them, I try to be creative and figure out how to keep them moist so he’ll eat them. I like the idea of stuffing them and have gotten some great ideas when I’ve been out for dinner! This is something I created on the spur of the moment, looking for something quick and easy for dinner. Seriously, didn’t take me long, you just have to cut, stuff, wrap and bathe in white wine or chicken broth if you don’t cook with wine. 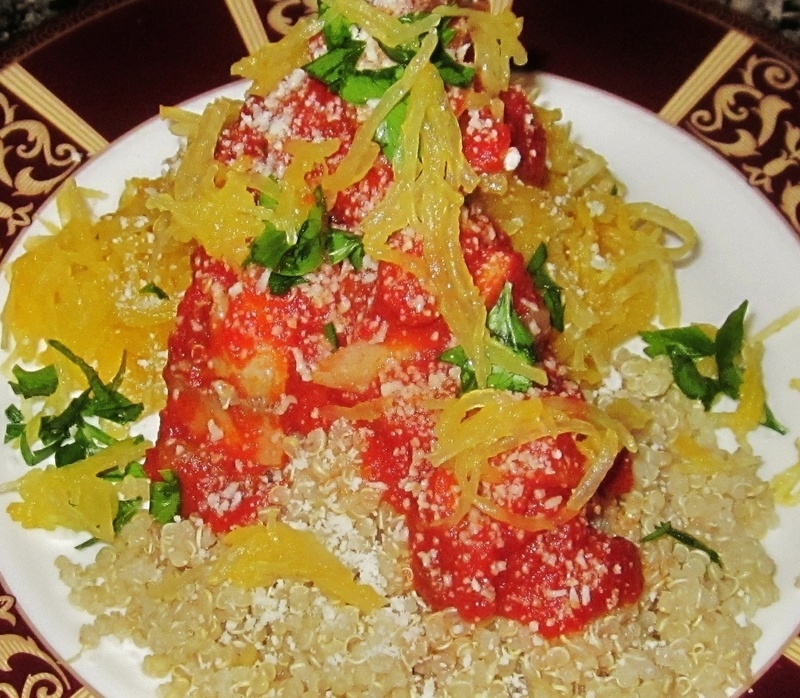 Makes a great looking celebratory dish, perfect for this time of year because of the colors! Mild Cheese, Mozzarella, Gouda, Goat? 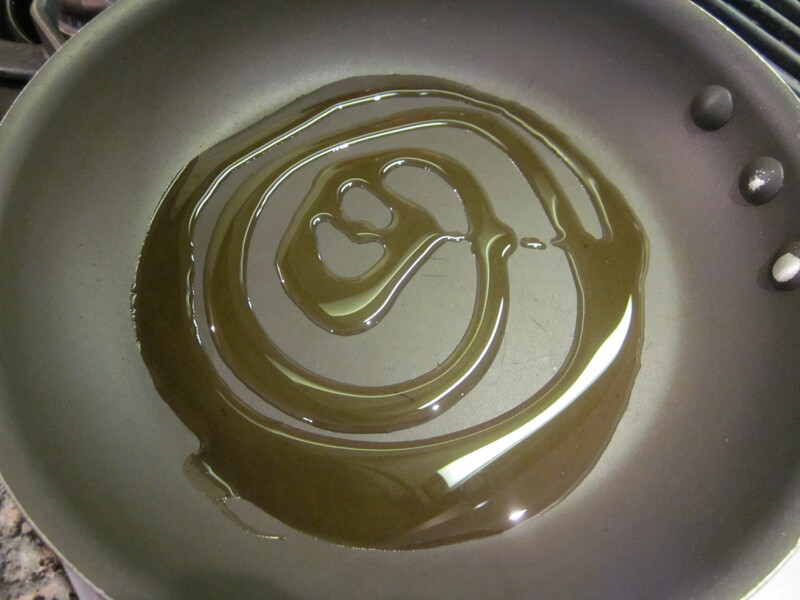 Plate , drizzle some of the sauce over top and serve! The saltiness of the Prosciutto is all the salt you need! The Chicken is moist and tender and the Shrimp inside mixed with the Parsley and the Cheese is mouth-watering! It’s like biting into a perfectly wrapped present! 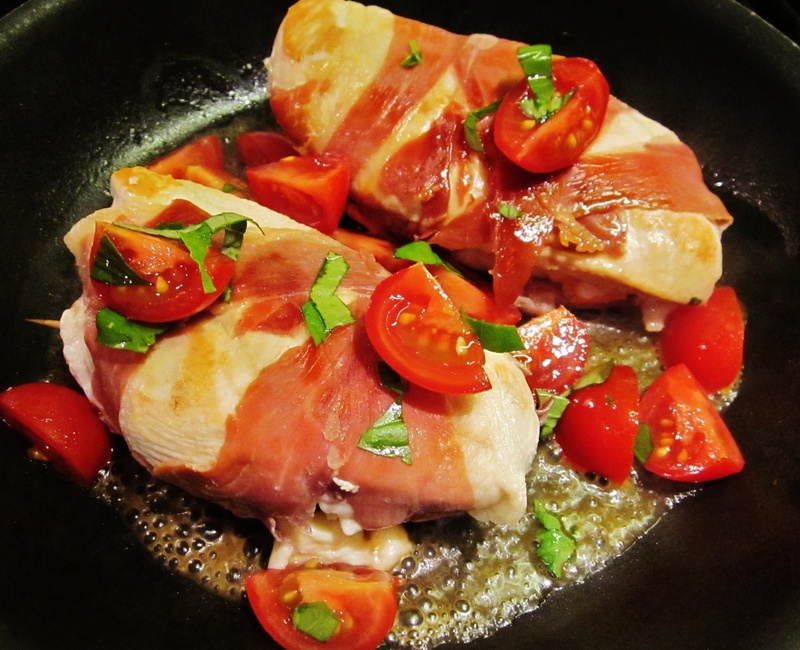 Posted in FOR THE CARNIVORES, GLUTEN FREE and tagged chicken, dinner, food, gluten free, healthy, Italian cooking, recipes, Shrimp, stuffed chicken breasts. Bookmark the permalink. 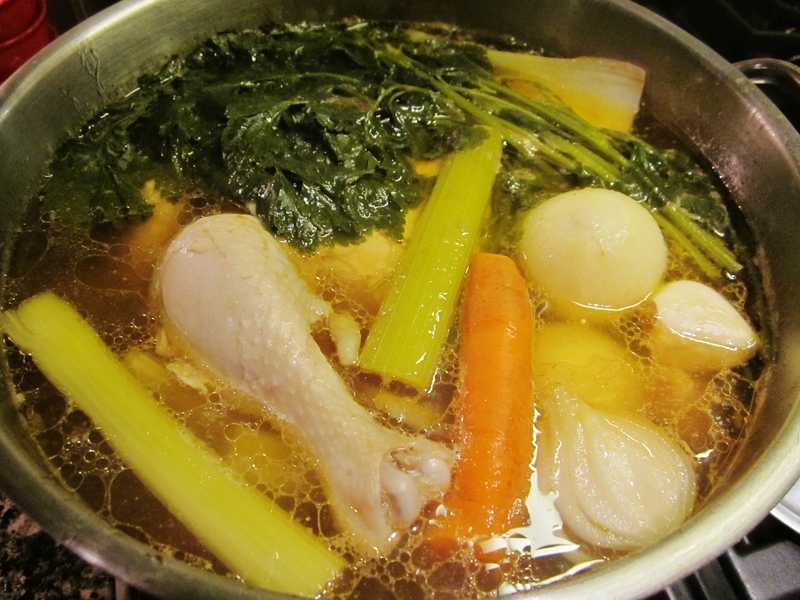 One of my fondest memories growing up, was when my Mother would make Chicken Soup. It was a real ritual which took almost the whole day from start to finish! I even watched my Mother pluck the feathers off a fresh chicken. That was a process in itself! I, myself like to go the grocery store or butcher for mine, Hehe! 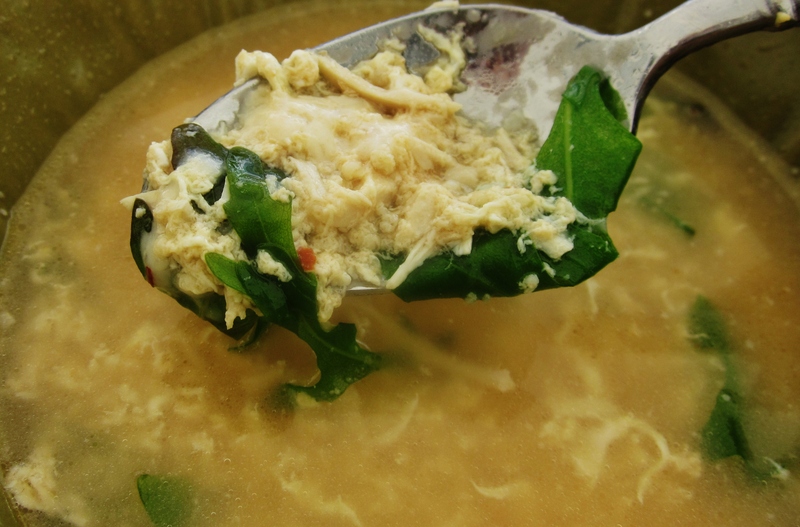 The smell of the soup cooking is enough to make you salivate and if you’re not feeling well, I swear it will make you well, just breathing it in! 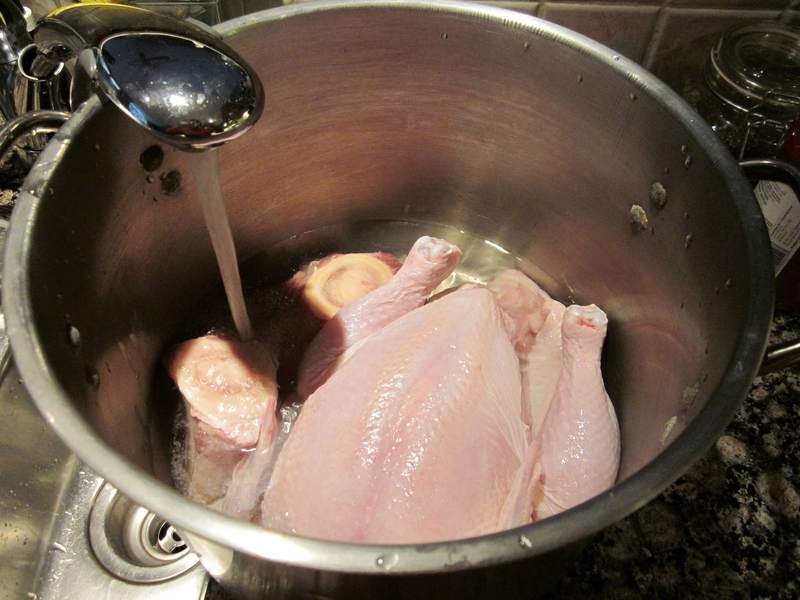 Put the Chicken and Bones in a large stock pot and add enough water to come to about 3 inches from the top. 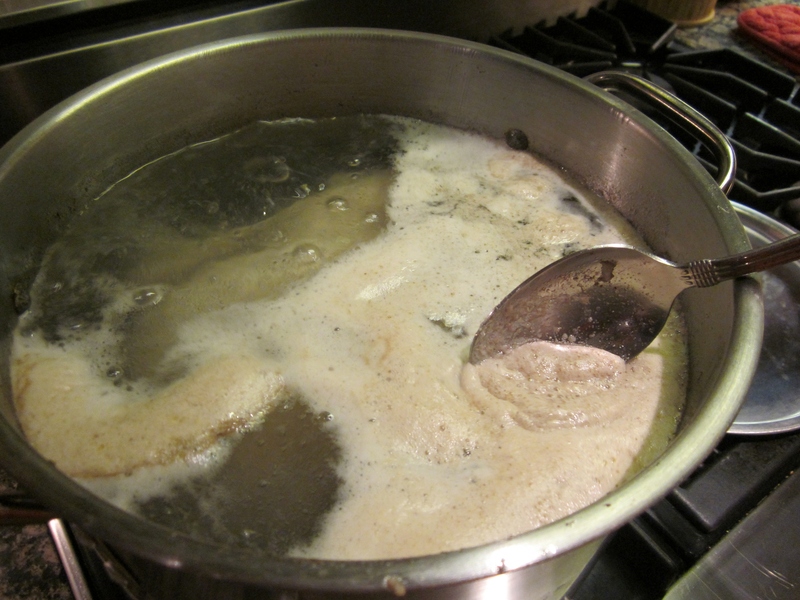 Bring to boil and skim off the foam that forms at the top. Add the vegetables and stir. 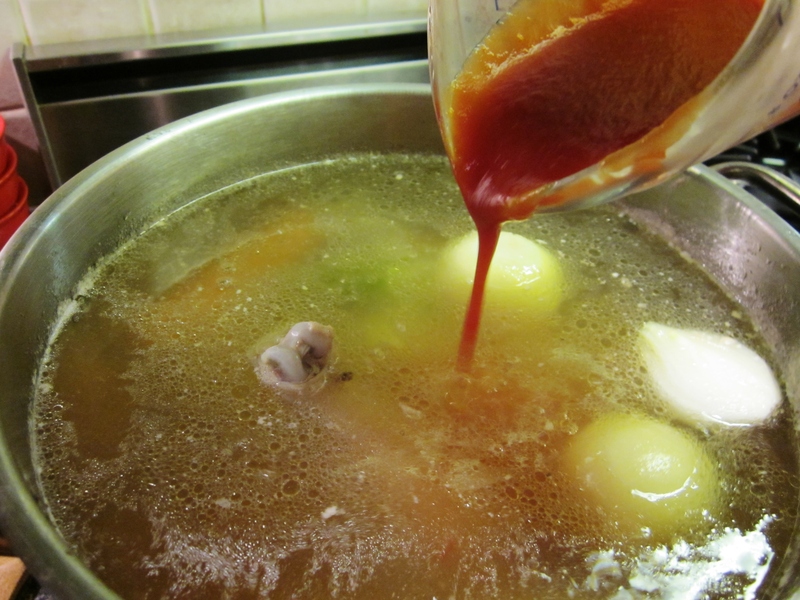 Pour in enough Tomato to color the water a rich orange color. 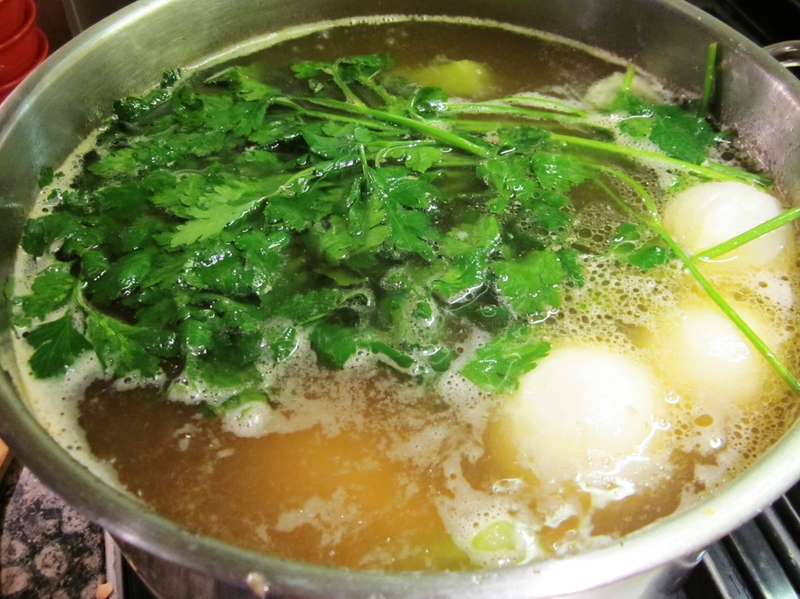 Add Parsley and bring to boil. 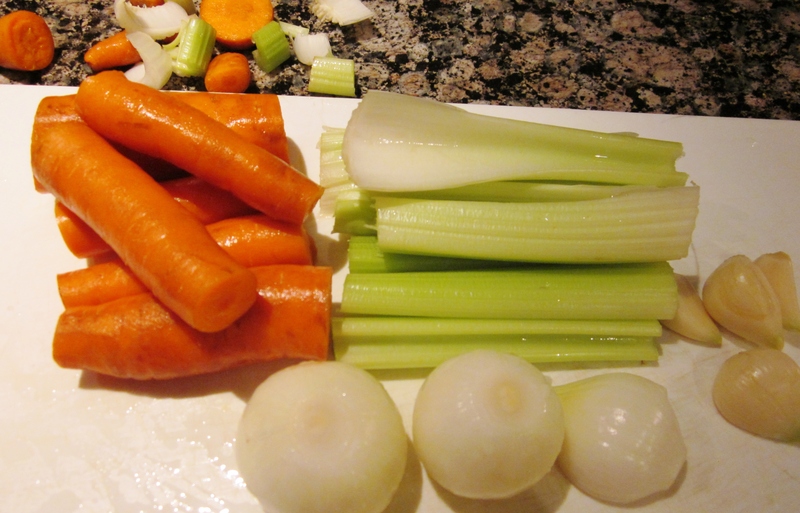 Cover and reduce heat to low and cook for at least 3 hours. This is what it should look like while its cooking. Let it cool down completely, and start fishing out the chicken and vegetables. 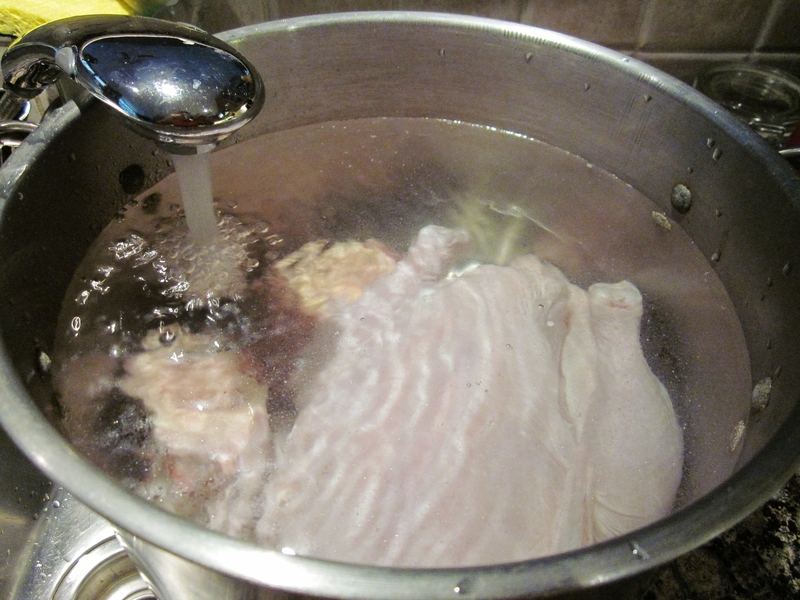 Strain the stock through a sieve and discard the remainder after it has drained of all the liquid. 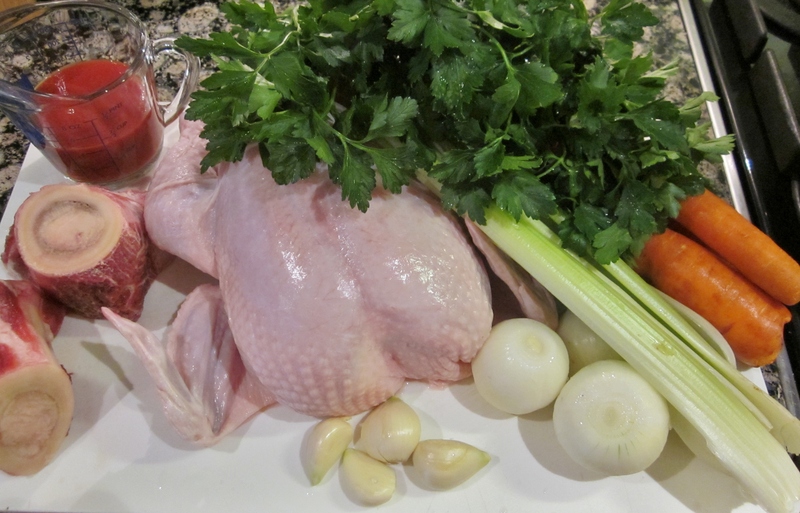 and stock and chicken and vegetables for a fabulous dinner as well! 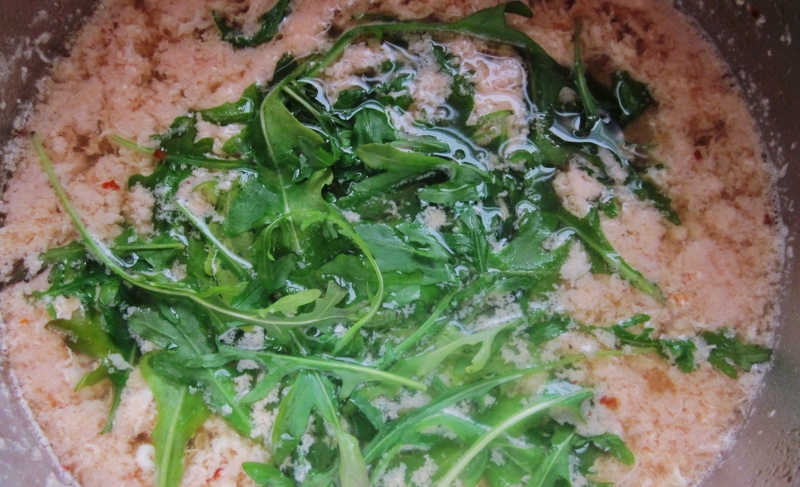 You can add cooked Pasta or Quinoa or beaten egg for Stracciatella soup and garnish with fresh parsley and Parmesan Cheese! Posted in FOR THE CARNIVORES, GLUTEN FREE and tagged chicken, dinner, food, garden goodies, gluten free, healthy, Italian cooking, recipes, soups. Bookmark the permalink.